Not too much to say about this one, you either know Wind Waker or you don't. The trailer looks pretty stunning though! The Legend of Zelda: The Wind Waker HD will release in October of 2013. Looks good. A Day 1 purchase. Better than those first screens! They've maintained the cel-shaded style and toned down the bloom and 3d model look. Very, very pretty and still a great game. I'm sort of ashamed to say, I thought it was the original game at first...you know, like when they fade into the new version from the old in trailers like this? Although to be fair, that's because Nintendo broadcast their direct in SD. Watching this vid in HD helps highlight the improvements. And I'm kinda glad the weird shading of the first screens has been nixed. Even so, TWW's hardly aged at all and this doesn't look very new, so I'll pass. What was with Iwata spending a couple minutes of the show talking about the Tingle Tuner? This just highlighted how much this game doesn't need a remake. 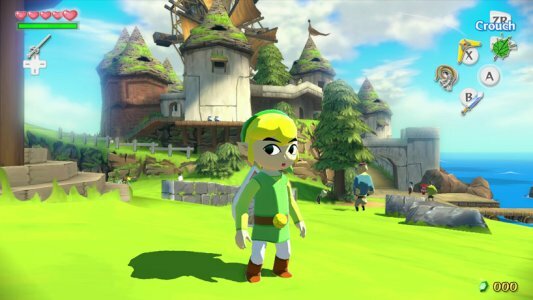 Majora's Mask should have been remade for the Wii U with HD'd Skyward Sword assets. I couldn't tell the difference over a crappy Internet video, but at least it appears they didn't change the style as the original screens seemed to indicate. It's too bad they aren't using the GamePad for the Tingle Tuner, it would have been perfect! Thankfully they fixed the art style from the first reveal, but now it doesn't look differentiated at all from the original (especially when watching over a crappy feed that was cutting out). 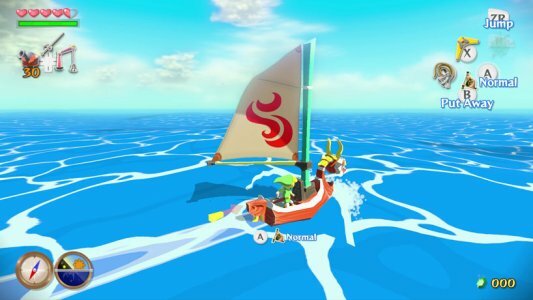 It looks very much like Wind Waker running on an emulator now. My thoughts exactly. I prefer the plasticky style they showed last time. At least it's new. I'm still buying it, of course. I have a million versions of Zelda and Mario after all. Cool, but I wish it had a better makeover. If they add some extra things in, maybe a new area to explore, I'd probably pick this up. Otherwise I will probably pass as well because of lack of time. I loved the snot out of Wind Waker, by far my favorite Zelda experience, but time these days for games is limited, and so I must move on. You already played Wind Waker's missing dungeons in other zeldas., so WWHD won't have them. Oh well.